Colin Stetson's avant-garde saxophone work doesn't inherently skew into horror, but it isn't much of a reach either. Some of his finest compositions twist themselves into maze-like helixes of sound, feeling both labyrinthine and unfamiliar as they unspool through emotions of every shade. But in the service of the Hereditary soundtrack — for a movie about a family's terrifying realizations about its ancestry — he gets to focus his energies exclusively on being the spookiest Stetson he can be. It turns out he's a very spooky Stetson. 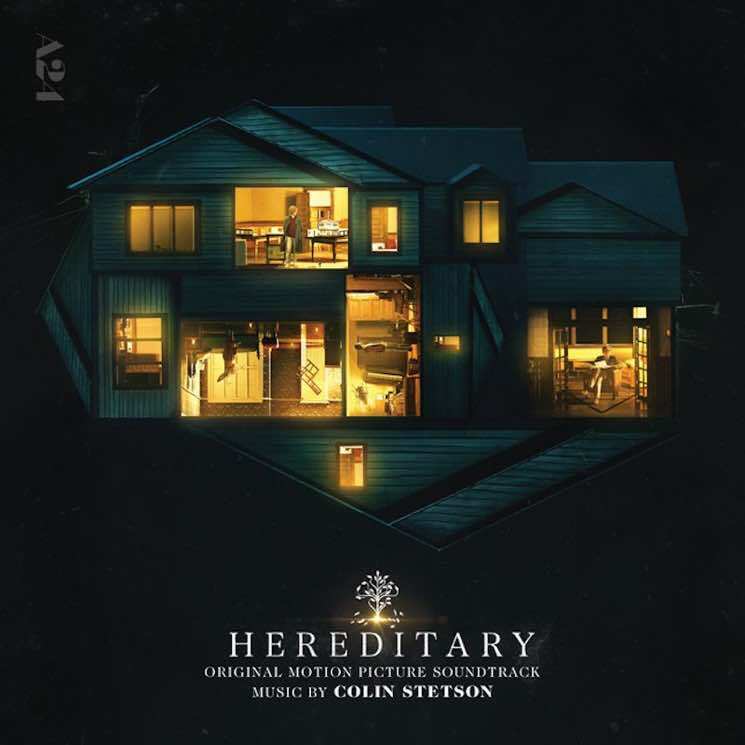 The Hereditary soundtrack layers on menace with unhurried confidence: many tracks start in almost silence, with a single sound drawn out from around the edges of your auditory reaches, before the unease begins to build. A stock-in-trade Stetson sax line emerges and disappears throughout "Charlie," as if some unfamiliar figure is drifting in and out of sight; the abrupt end of "Party, Crash" follows a slow-burn build of percussive rattling and big stings. "Séance Sleepwalking" finds more hopeful notes before curdling them into something else: its skittish flutters harken a brassy, Zimmerman-like blast of sound.